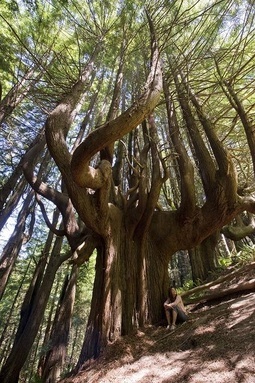 Have you ever seen a candelabra redwood tree? These amazing trees, warped by wind and salty air, are breathtaking. Hike the Peter Douglas Trail for a truly unique experience. Mendocino Land Trust’s new Coastal Trail Guide for Mendocino County is the best way to plan your next hike. 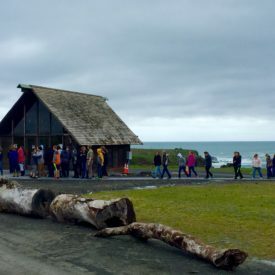 This 2.3-mile trail offers a wide variety of coastal experiences, including expansive views of Mendocino’s remote and wild “Lost Coast,” deep redwood and Douglas fir forests, and old-growth trees sculpted into bizarre shapes by salty winds. There is a magic and mystery present here. It is an all-day excursion to get to this trail from Fort Bragg or Mendocino, and the Usal Road is only open during the dry season. 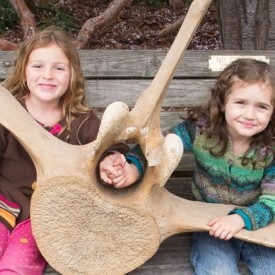 It’s well worth the trip, though it’s a rugged adventure and hike. NEW southern segment of the FORT BRAGG Coastal Trail OPENS! 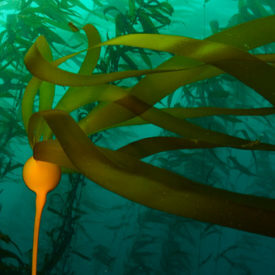 The vision for the California Coastal Trail (CCT) is to build a continuous interconnected public trail system along the California coastline as close to the ocean as possible. This is a very exciting initiative for the state and about 50% of California’s 1100 miles of coastline now has a developed trail! 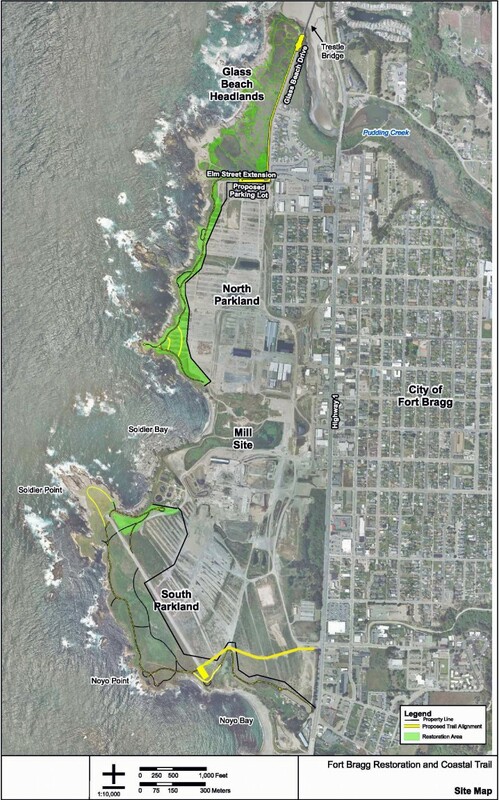 When the City of Fort Bragg completes the Fort Bragg Coastal Trail on the GP mill site, it will link over 10 miles of continuous coastal trail in our region!! Planning the coastal trail in our county has been accomplished through a collaboration between the California Coastal Conservancy, the California Coastal Commission, Coastwalk (a volunteer organization working to connect coastal trails and communities in California,) and the Mendocino Land Trust (MLT, a local nonprofit organization working to promote conservation, stewardship and public access). To see the plan for the full trail, check out Coastwalk’s map of existing trails and plans for future sections in our county. Phase 1 of the Fort Bragg Coastal Trail, completed in 2015. Phase 2, which will connect the north and south trail, will be constructed as soon as Georgia Pacific resolves the remaining remediation issues.